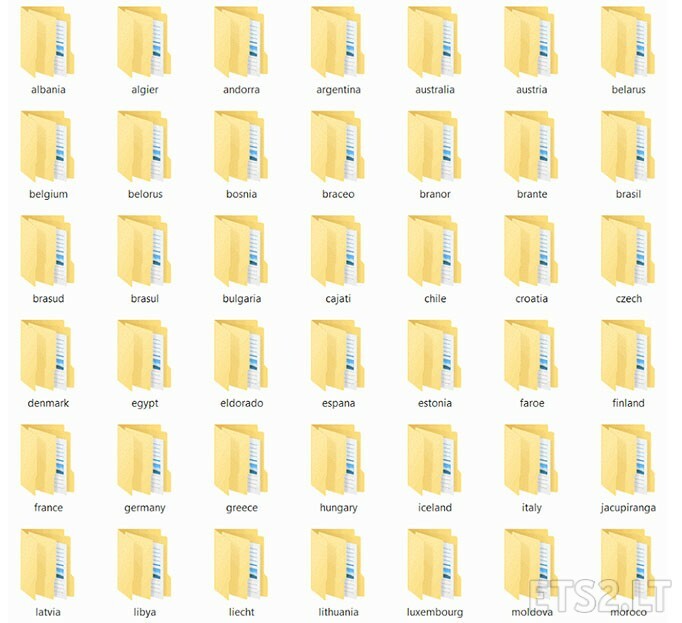 This package is a template of country definition folders for all countries included in popular map mods, so modders can set the frequency of an AI Traffic vehicle appearing in a certain country for their AI traffic vehicles. plus all other map mods that use the included countries. 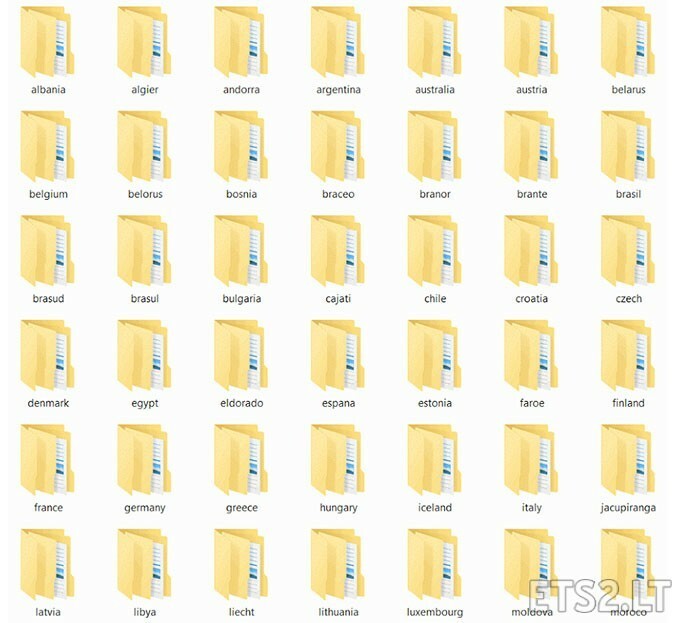 Please use up all country folders for every vehicle .sii file and adjust frequencies for each country as necessary. ⁂⁂ Make sure to have the frequency set to 0 for vehicles that don’t belong in the country. ⁂⁂ If you don’t include a definition file in a country for a vehicle that doesn’t belong, the vehicle will appear when driving in the country with a frequency of 1. NO FILES! What´s the problem?